Dark Shadows, the 1960s supernatural soap opera, spun off a couple of vampire themed board games. This one is by Whitman, and dates from 1968.
feature on the box cover. The "board" is actually a giant paper mat, and consequently rather fragile. A simple track runs though representations of Collinwood and its grounds. 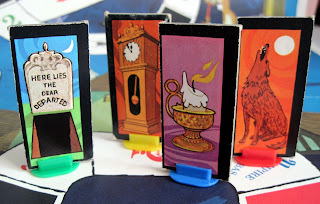 Players select a pawn (a gravestone, howling wolf, drippy candle, or grandfather clock about to strike midnight). 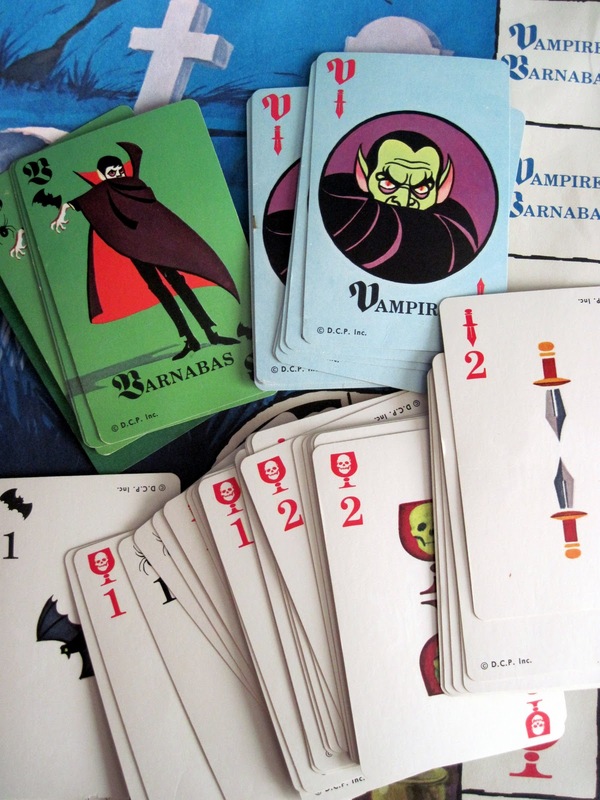 Cards direct their movement along the track, and the first one to the finish wins. 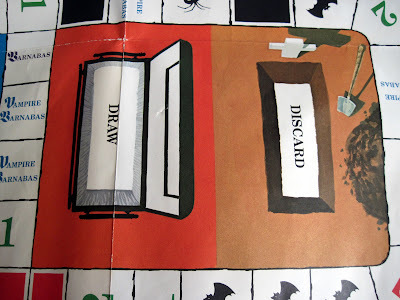 The draw and discard piles on the board are an empty coffin and an open grave, respectively. 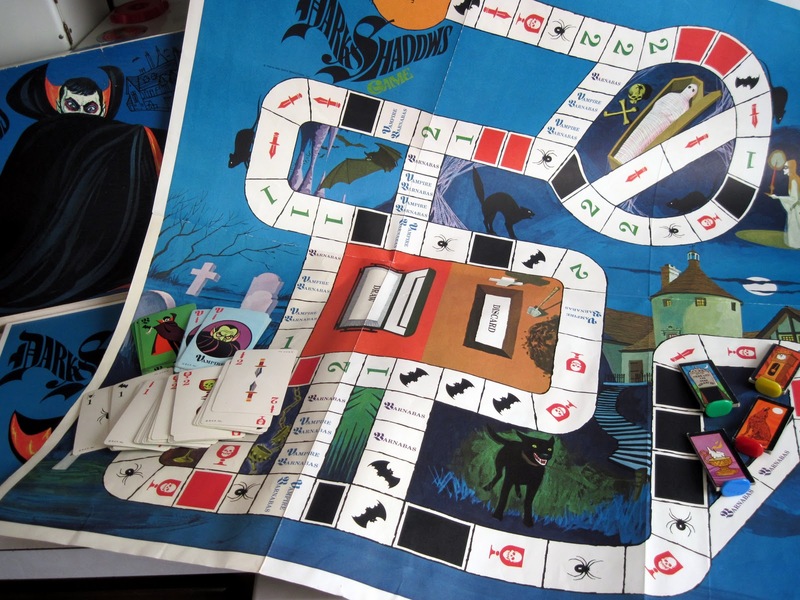 For all its spooky cool art, one would expect this to be an exciting game to play, but sadly it's rather dull, just a straightforward track. 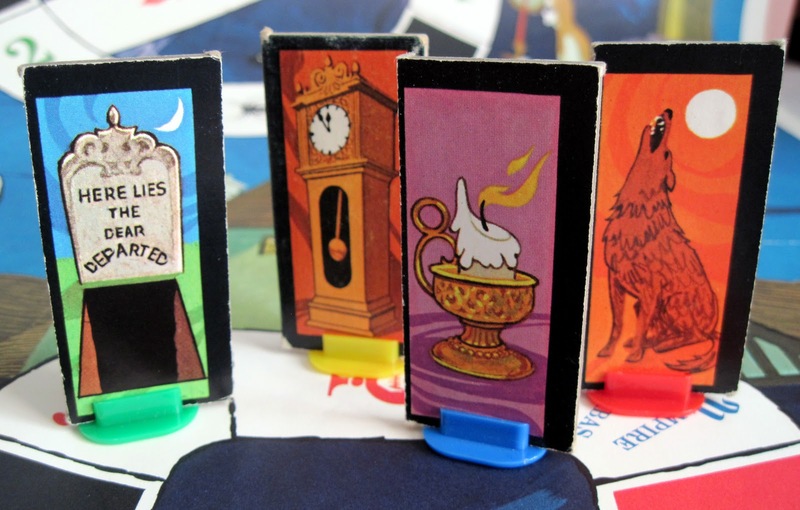 The other Dark Shadows game is anything but boring though, and it's coming up tomorrow. 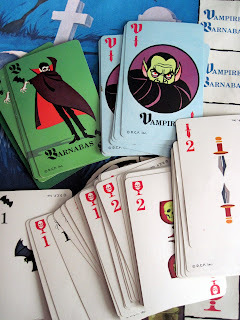 My brother and I also had a lot of fun with this game. Kind of the same premise as CandyLand. Husband and I just saw the movie today. It was fun. I wish they would make a reproduction in vinyl. We also played it until it fell apart. I would play it, still.